Back in October, the USPTO pulled the patent it had awarded Apple for the "Over Scroll Bounce" also known in certain high society circles as the "Rubber-Banding" patent. It was one of the Intellectual Property holdings in the Cupertino based tech firm's patent portfolio, and was used by Apple against Samsung during the pair's legendary patent battle last year. The actual name of the patent is the "List scrolling and document translation, scaling, and rotation on a touch-screen display," and no, you won't be quizzed on it. 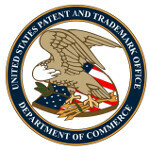 What makes this patent newsworthy again is the decision by the chaps at the USPTO to issue Apple a reexamination certificate related to patent U.S. Patent No. 7,469,381, the "rubber-banding" patent. This includes claim 19, the one used by Apple successfully in the suit last year against Samsung. This is the second reexamination certificate involving claim 19 with the first one dating back to 2011. Apple informed Judge Lucy Koh about the USPTO decision as she will be once again presiding over the next Apple-Samsung patent trial set for 2014. The judge herself is no stranger to this patent. During last year's trial, she refused Samsung's request to make the "rubber-banding" patent invalid even though the jury did not make that ruling. In late 2011, Koh ruled during a preliminary injunction hearing that the patent was likely to be found valid. The next Apple-Samsung patent trial is due to begin in March of 2014. Oh man :(.. Here we go again.. I saw this a day or two ago, and it actually flows out of the ITC's rejection of Google's intervention on Samsung's behalf (and some bizarre testimony by Google) and a recommendation by the ITC for an import ban on Samsung products. This is going to get ugly. A sad day for innovation and technological advance. Patent can't be exported and is going to kill a lot of smaller companies and start up. You have it backward. Using the "rubber band" effect, whether licensed or not, is stifling innovation. Figuring out another way to do it, or better yet,finding a superior method, is innovation. Apple is not stifling innovation with this, rather, Samsung is riding the coattails of innovation. You call "rubber band" innovation? "Finding a superior method(to rubber band), is innovation" Surely, you're joking. It's a gimmick, it can be "fixed" by getting rid of it. Google just implemented a rubber band-like effect in Gmail and all you fandroids are yelling how it should be implemented throughout android. If it is not innovation, why do you want it? That's not unanimous, I personally prefer the glow when you hit the end of scrolling, not a fan of the bounce back effect. One of the original arguments from some camps was the patent would force people to innovate, hence the glow effect instead. It seems the word innovation has been patented by apple and ifans. Apple just "innovated" ios 7 by "innovating" from others. And now, if google and samsung "innovates"(oops, i guess i should've used another word), it's unfair and illegal. See and here I thought innovation was about bringing something completely new to the table, not just finding a new way to do something we already can do. So tell me, what would be superior to a rubber banding effect? I mean all it does is let you know you're unable to scroll any further. My S3 puts a blue light on the side of the screen to accomplish the same thing. Is one better than the other? That's personal preference. The point is with all these patents are doing are forcing companies to find work arounds, and those time & resources could be used to find something truly innovative, like longer lasting battery tech, or better low signal radios. I've said this many times, setup a universal patent system where all patents are worth a, b, or c (depending on how important they are). Anyone who wants to use said patent must compensate the patent owner for it's use. The only way a ban will be put in place is if they fail to compensate the patents owner for it's use. No more using the patent system to set the playing field, they will compete in the salesroom, not the courtroom. This would be really great, but I don't think this is gonna happen, not before it reaches the bottom anyways. Unfortunately, i don't think we've seen near worst yet. Sadly I fear you're right. I'm guessing you forgot that many mobile technologies were either on the iPhone, or some precursor to the iPhone that cannot possibly be an Android device, prior to them ever being on an Android handset? File systems and bigger screens are not innovation. Android can claim almost no "Firsts" in mobile. To claim that Apple is always being fair is naive...go check the history books fanboy ''give and take'' should be the name of the game here...not ''whine and sue'' This is why I am disgusted with software patents....it won't be long before game and software developers will adhere to the same principle. What was the first phone to offer wifi hotspots and tethering? WM 6.5 phones did it, as I'm sure older Nokias did, too. See this is what really ticks me off. Mobile technologies should only apply to things like cell radios and such. Otherwise a smartphone is basically a pocket computer. Touchscreen technology was around long before the iphone, Prada, for F700 came about. Wifi was around before smartphones, as was most of the apps (they were called programs by most people). All that was done was adapted those previously existing technologies to a smaller form factor. It's no different than how things like resistors, capacitors, & ICs were miniaturized in what's known as board mount. This allowed for the same components but with a smaller footprint. They're talking pre existing tech and miniaturizing it. Due to the nature of touchscreens, there are only a certain number of ways that things can be done, otherwise they are less intuitive and complicated. If someone was allowed to patent everything from the start, they would have a stranglehold on the industry. Motorola produced the first cell phone, if they had treated their competitors as Apple is now doing, the cell industry would be a one horse race. Patents are their to compensate the inventor, not to eliminate the competition. Unfortunately Apple and the people charged with ruling on patent law didn't get that memo. One thing consistent with the USPTO... You can always tell when the check clears. Apples "fair trade" policy lets me thing that somebody at USPTO got good paid to issue that reexamination certificate. Sick tired of this shyt already. No problem, it's okay to borrow ideas from each other. Apple hasn't sued anyone in two years so this is all irrelevant.